Honey is a unique food that has been revered by cultures worldwide for thousands of years. It has a complex, delightful flavor, a host of nutritional benefits and medicinal qualities, and boasts a vast array of culinary uses. Locally produced honey appeals to a wide range of consumers, from foodies who revel in the unique floral notes of honey produced from a specific source like clover or buckwheat, to allergy sufferers looking for potential relief, to consumers looking to support a local food economy, to people alarmed by the plight of pollinators and wanting to do their part to support local pollinator populations. Local honey is an attractive and desirable product. 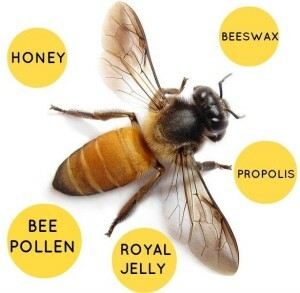 While honey is the most popular hive commodity sought by consumers, there are many other marketable products available from local beekeepers, such as beeswax, pollen, propolis, royal jelly, cosmetics, queens, bees, larvae, and even venom.